What: Stickii Club is a sticker subscription that sends an envelope full of Cute, Retro or Pop themed stickers every month (you choose which category when you sign up). This review is for the Cute pack. Stickii subscribers were in for a treat this month because STICKII CLUB TURNED ONE!! Yay! Each pack contained a bit extra to celebrate the occasion, and that bday announcement above? It's actually a bunch of little stickers that you can slap on anything you like to show your love for stickers and Stickii Club. See what I mean by extras? 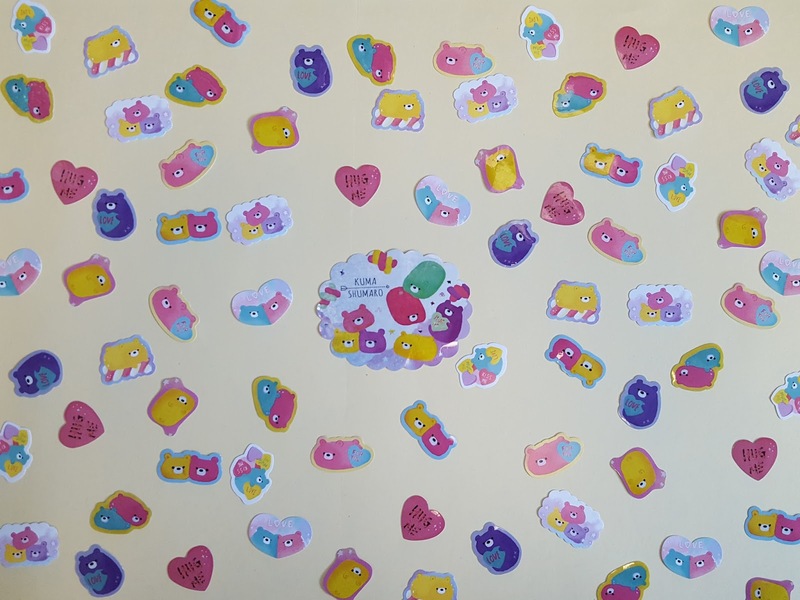 There were seven full sized sheets of stickers along with a single and the usual bag of sticker flakes. April's Cute pack theme was Chubby Animals Party, which is perfect because who doesn't think chubby animals are cute?? It's pretty much a no-brainer to include pandas and piggies in a chubby package. 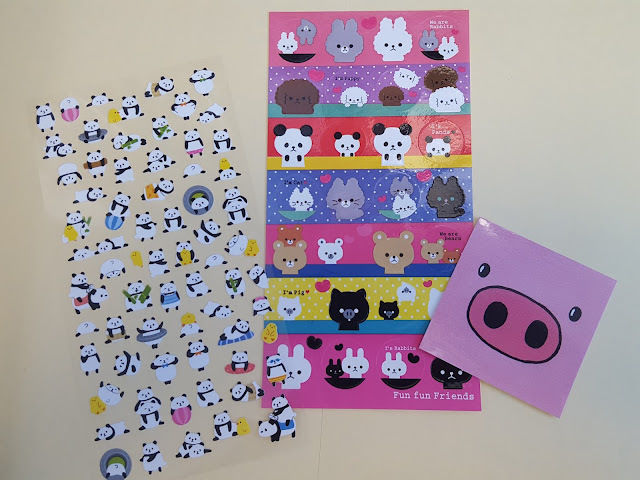 That pig face sticker is going on my desk at work as a quick pick-me-up. There's no way you can look at that snout and not feel just a teensy bit happier. As it turns out, chubby rabbits are where it's at! 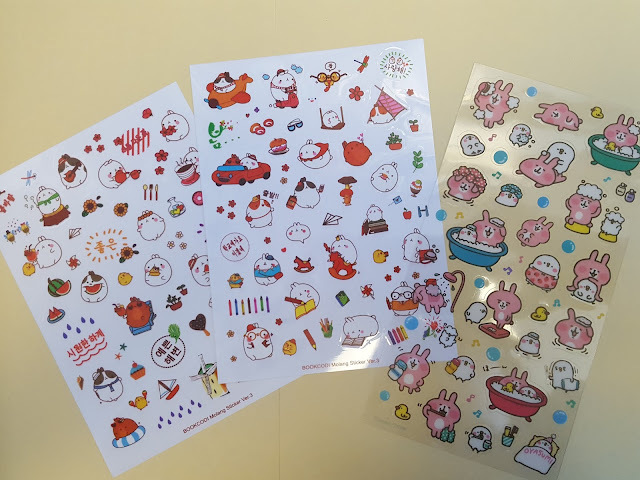 The folks at Stickii must think so because they included THREE sticker sheets of fat bunnies (not to mention a few on the sheet above this pic). 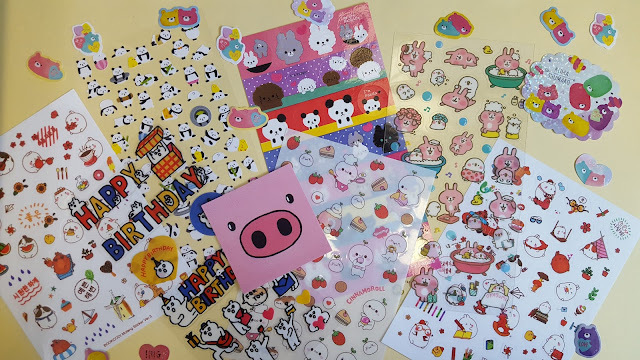 I was a huge Cheery Chums fan growing up and after seeing My Melody and Little Twin Stars make a comeback in January's sticker pack I was hoping to see the cute bunnies appear in here. No such luck. I guess they weren't chubby enough to make the cut. I may need to brush up on my Sanrio trivia, but ins't Cinnamoroll a rabbit-looking thing? Or does he have a sidekick? This guy looks part seal-part plant. He's cute, though. 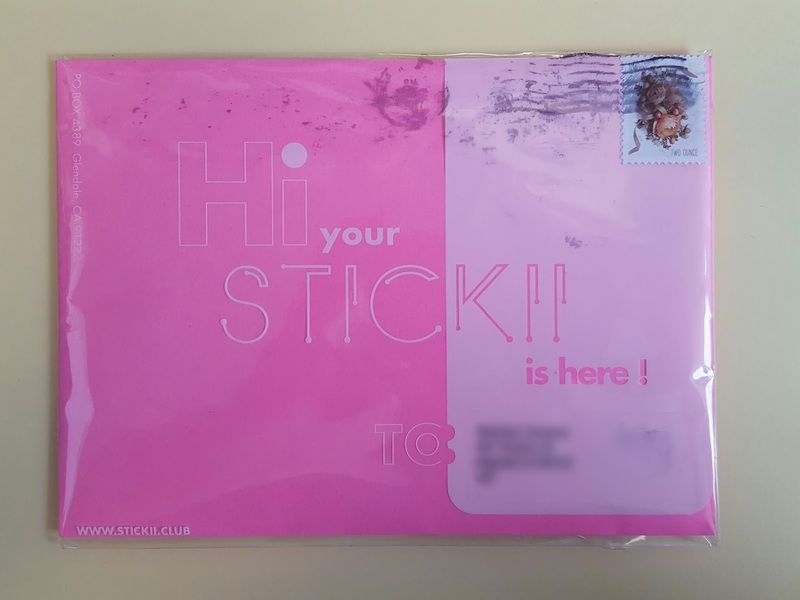 Stickii usually includes a bag of sticker flakes and I normally just scatter them around in the photos as fillers, but I loved these so much that they get their own picture this month! I've never seen this character before, but these are already my favorite flakes to date because look at all that color! Evidently Kuma Shumaro is a bunch of colorful feel-good bears. It sort of reminds me of Care Bears minus the Care Bear Stare. Or maybe they do have a superpower, who knows. But I do know that I have 70 of them to do whatever I please. Whoever's birthday is coming up next, expect a bunch of Kuma Shumaro stickers in your card! 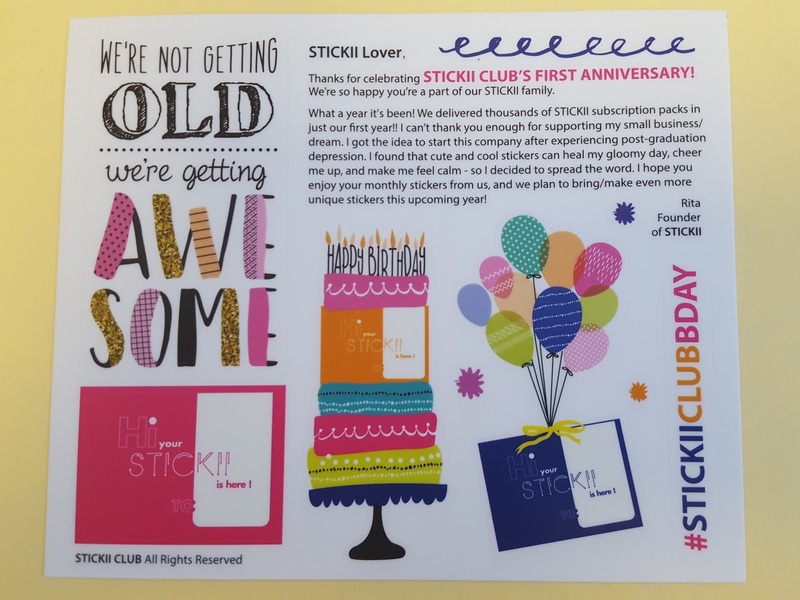 If you haven't been bitten by the sticker bug yet, Stickii Club is a great place to start. 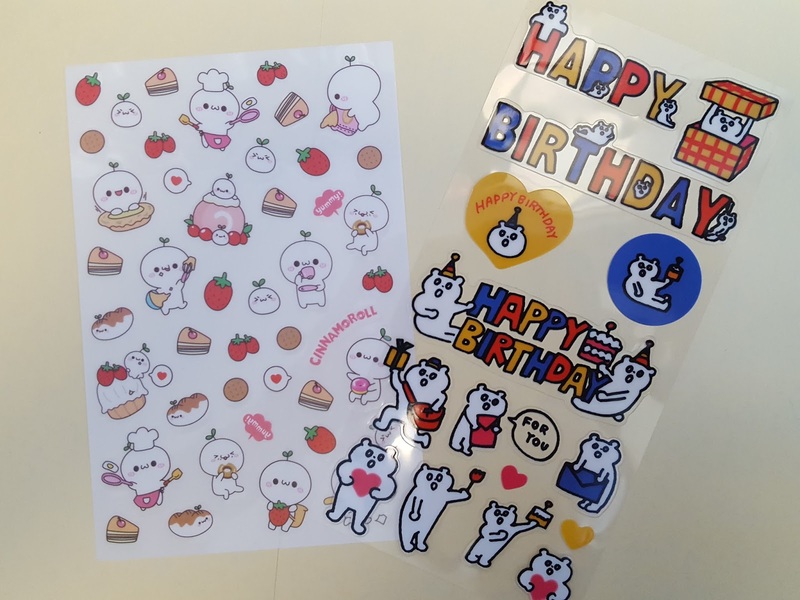 Each month you'll get really cute stickers, even if you aren't subscribed to the Cute pack. The Retro and Pop packs are cute too, just that "cute" isn't their centralized theme. Click here to get signed up and ready in time for next month's sticker pack. Or if you subscribe by May 21st, you may even make it in time for this month's stickers! Note: No referral links were used in this post. All opinions are my own.